With today’s volatile markets, effective commodity management can be critical to businesses’ profitability. 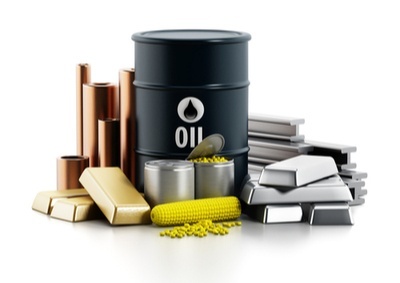 However, for buyers of commodities ranging from agricultural products to precious metals, mitigation of the risks associated with commodity trading, futures, and ongoing position management can be a significant challenge. Truth is, the ERP software that forms the backbone of many organizations has historically been a poor match for meeting the unique challenges of the commodity trading world. As a result, companies are left to manage commodity trading risks and exposure through complex spreadsheets or separate commodity trading systems, introducing complications, duplication of effort, and increased risk of error. Many companies are unaware that their existing SAP ERP system has powerful commodity management functionality that can revolutionize the way that the organization manages risk on commodity purchases. These built-in capabilities make cumbersome spreadsheets and convoluted interfaces between your commodity trading system and ERP System a thing of the past. SAP Commodity Management allows companies to better predict and manage the risk of commodity purchases and positions, no matter the company size or industry. With SAP’s integrated commodity risk management solution as part of your ERP, your business can better identify, track and mitigate risk exposure, quickly and easily. · Better predict commodity prices. SAP’s integrated commodity pricing engine gives your business a competitive advantage. Using live market data, the engine calculates and applies forward curves to better predict future pricing, closing price, average price or other key elements. Not only does this powerful engine allow you to reduce risk stemming from commodity price volatility and create procurement contracts based on market-based price quotes, but it also allows you to customize your models according to the specific pricing terms relevant to your commodity contracts. · Improve management of currency risk and exposure. SAP’s treasury module allows your business to streamline treasury processes and better manage risks from currency fluctuations and commodity futures. By integrating data from the commodity pricing engine with the treasury module, you can run a detailed report quickly identifying long or short positions, and where your business is exposed. · Improve visibility across the organization. Data contained in spreadsheets, separate commodity management systems or other solutions often results in a lack of visibility for the CFO and others, creating internal controls risks and auditability challenges. With SAP Commodity Management, you can view your physical and financial commodity positions in real time, creating a “single version of the truth” without conflicting data from multiple systems. These points only scratch the surface of the benefits that SAP Commodity Management can provide. However, despite the obvious advantages of these capabilities, many clients are initially wary. Price often looms large as a potential customer concern, as well as the challenges of moving to a new commodity management solution. But SAP Commodity Management is not a new module or add-on solution. SAP ERP systems have these powerful capabilities right out of the box. I know what you’re thinking: “If I already have these capabilities in my ERP, why can’t I see them?” While Commodity Management features are a part of your existing ERP, to use them you must purchase a license and then simply “flip the switch” to activate the capabilities. Illumiti can then help youset up your system and data structure to work effectively. Interested in learning more? Stay tuned for my next blog, or reach out to Illumiti to see how SAP Commodity Management can be a transformative addition to your business.